The Island of Maui, also called The Valley Island, is the second largest island of the Hawaiian archipelago and is located in the South Est of the Island. The gets its name from the legendary Hawai’iloa navigator that discovered the Island and wanted to name it after his son, who turned out to be the name of a Hawaiian half god. Discovering the Island will take you some time but the first step: you must book the perfect hotel if you want your stay to be memorable. Indulge an unforgettable, relaxing and unique stay at Honua Kai Resort, located at only 50-minutes away from Kahului airport and just 5-minute walk from the beach. There are a variety of beaches great for both relaxing and recreational activities such as snorkeling, paddle boarding and more. 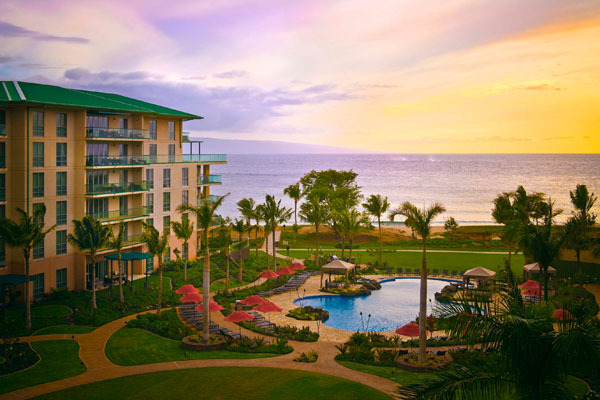 Located along Kaanapali Beach on the island of Maui, Honua Kai Resort & Spa offers 40 tropical beachfront acres and a broad range of very charming bedroom suites and studios designed with a contemporary Hawaiian style. The suites feature a fully equipped kitchen and a seating area with a flat-screen TV but also are accommodating guests with a washing machine and tumble dryer which is very convenient while traveling. 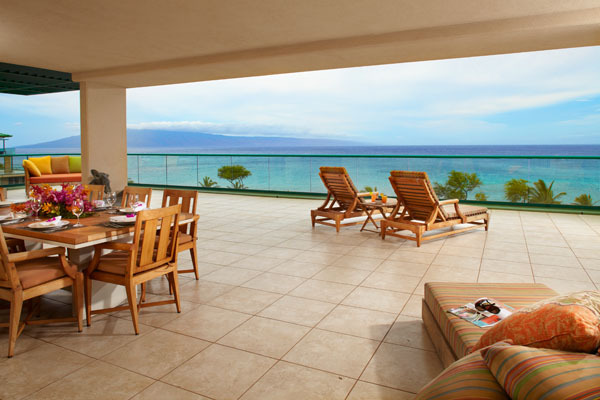 If you instead spend your time at home don’t worry, Honua Kai Resort & Spa makes it possible! You will feel like home while being away from home in luxurious accommodations. You will have anything you need to cook and host your family or friends for dinner in your suite and if you need anything, feel free to reach out your concierge who is always reachable 24h/7: yes it’s incredible! All the accommodations offer incredible views over the mountains or the ocean. 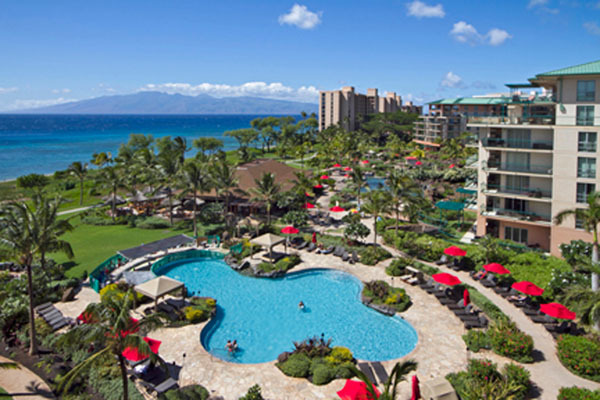 Honua Kai Resort & Spa owns three swimming pools, including one with a waterslide. You can rent water sporting and snorkeling equipment, as well as inflatable air mattresses on site. Noted also that windsurfing, paragliding and surf lessons and more activities that can be organized by the resort regarding the date of your stay and preferences. 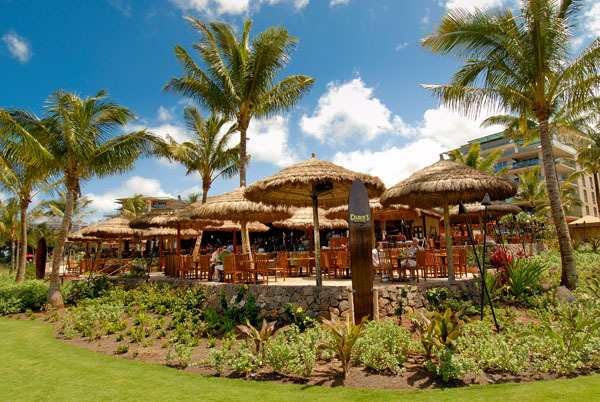 The resort offers several delicious restaurant options on site such as Duke’s Beach House, a casual bistro, that serves Hawaiian cuisine based on local ingredients freshly picked for dinner, this restaurant has two bars including one with an ocean view. You can also enjoy a coffee or a snack at Aina Gourmet, a coffee-market. Golf lovers will also find their happiness at the resort since The Royal Kaanapali Golf Course is only a few minutes away from Honua Kai Resort and Spa. The luxury shops and restaurants of Whalers Village are a five minute drive away.